Our history dates back to the years 50. 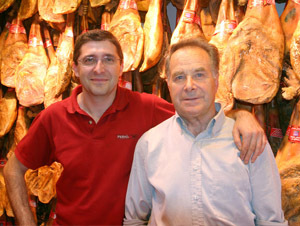 The founder of Pernil181 Antonio Ferrer He began his career in the world of cooked pork meats. 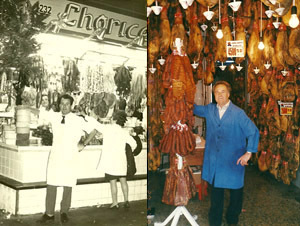 This journey through different Barcelona's markets, Market Clot, Central Market Abacería, Mythical Market Boqueria, Market Felipe II ... lets take an industry professional. All that knowledge is transferred in the year 1988 in the opening of our facility open to the public Barcelona in Passeig Sant Joan 181. Since the opening of the second generation, Carlos Ferrer, has learned the secrets of this craft so traditional and artisan, exporting to ham online store. Therefrom sell to all Europe the same products in our shop in Barcelona. Moons viernes 9-14 h the 16:30-20h (Saturday morning)Consult summer Saturdays and holidays local.